Barnsley could hand defender Andy Yiadom a new deal after his proposed move to Premier League newcomers Huddersfield broke down. 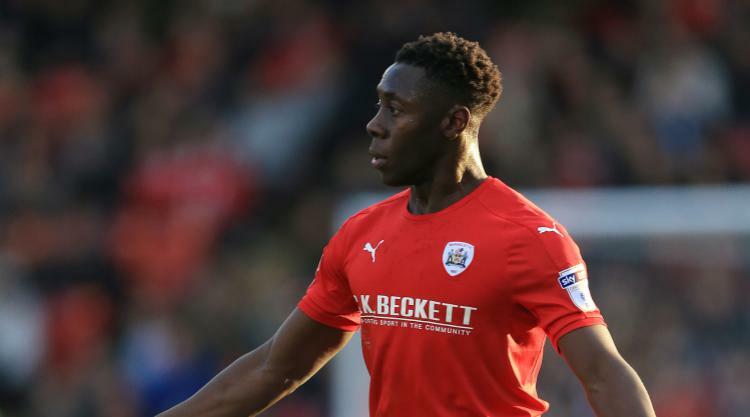 Yiadom was left out of Barnsley's squad for their last two games after they accepted a revised offer from Huddersfield, reported to be around £2million, but the 25-year-old has now returned to Oakwell. Neither club disclosed the reason why the deal collapsed. Huddersfield refused to comment when approached by Press Association Sport, but Yiadom could feature in Barnsley's derby against Sheffield United on Saturday. When asked if Barnsley were now ready to offer Yiadom a new contract, head coach Paul Heckingbottom told BBC Radio Sheffield: "Yes, who knows? We've not ruled anything out. We would be foolish to." Heckingbottom added: " We had to somehow draw it to a close. So he's back with us. "The thing with Huddersfield was not moving forward, so until something changes he's back with us and is one of our players. "We gave it every possible chance for Yids and for us, because we were happy with the finances of it. "But it's just the way things are, it breaks down, so rather than being in limbo we just called a halt on it and he's back with us now. "Of course he is (disappointed). But he's a level-headed guy and it won't faze him. He'll put that heartbreak if you like into perspective. "He knows why he got that opportunity, which was through hard work, so he'll start working hard again." Yiadom signed a two-year contract when he joined Barnsley on a free transfer from Barnet in May last year and had an impressive first season in the Sky Bet Championship, making 33 appearances.